Kristin is an amazing photographer herself - so it's always a little intimidating when another photographer asks you to photograph a special occasion for them. But I was excited to meet her and be a part of her special day. 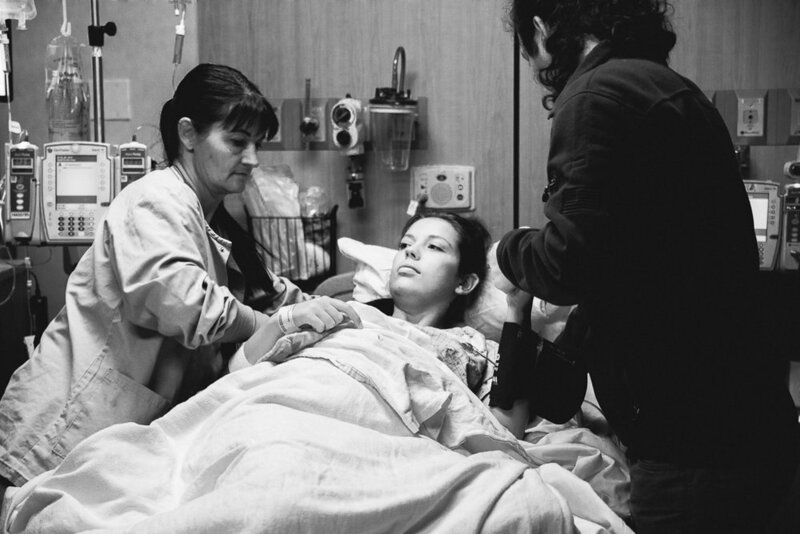 Kristin was in a little car accident three weeks before her due date, so she went to the hospital to be checked and they decided to keep her and monitor her. It was a Saturday night and I received a text from her letting me know she was in the hospital. Since she was so early, I still had some shoots lined up, so I was really hopeful it would still work out that she'd have it when I would be able to make it. She labored all day Saturday and Sunday, she was at a three for a really long time. By the time she got to a five and they decided to induce her it was 5pm. At nine there wasn’t any change so I decided to go to bed, at midnight I received a text that she was at a 9.5 and there was pressure so hurry! Haha. Births are so unpredictable. When I got there they were all smiles and Kristin was so adorable and funny. She had a cute sarcastic sense of humor and was enjoyable to be around. 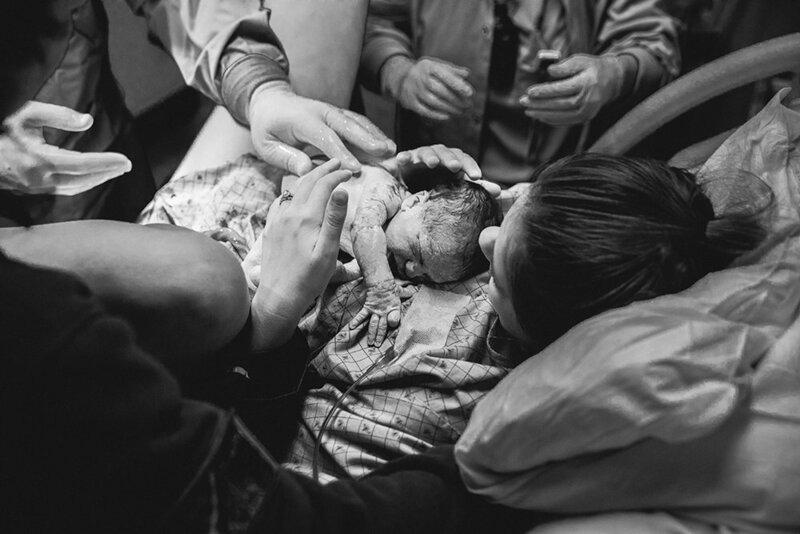 It didn’t take long at all for that sweet baby girl to make her appearance, a couple pushes and out came a dark head of hair, it took her a minute to start crying, but no time at all to want to nurse. She was a strong heathy sweet baby girl. Watching Chris and Kristin together was so sweet. Chris spent the whole time loving on Kristin, leaning in to caress against her cheek, holding her hand. Guys! Take note! When your wife is having a baby, there is nothing better then a supportive husband who is right there, easing the wives worries or just loving on her and being supportive every minute of what she needs. Kristin said Chris is like a lion, he is so snuggly and adorable with his girls, I loved watching how he’d just snuggle his head right into them both. There was so much happiness in that little room. Little 5lb Edelweiss is going to be one loved little girl.